A new planning application for 65 homes has been submitted for the former Thomas Peacocke School site, also known as the Lower School site. The application consists of 38 houses and 27 flats with 92 car parking bays and 83 cycle spaces. A critical change is that the development includes the demolition of the Queen Adelaide pub. This will mean access to the housing development will be further away from the railway crossing – a sticking point with the last application when East Sussex County Council put in an objection. 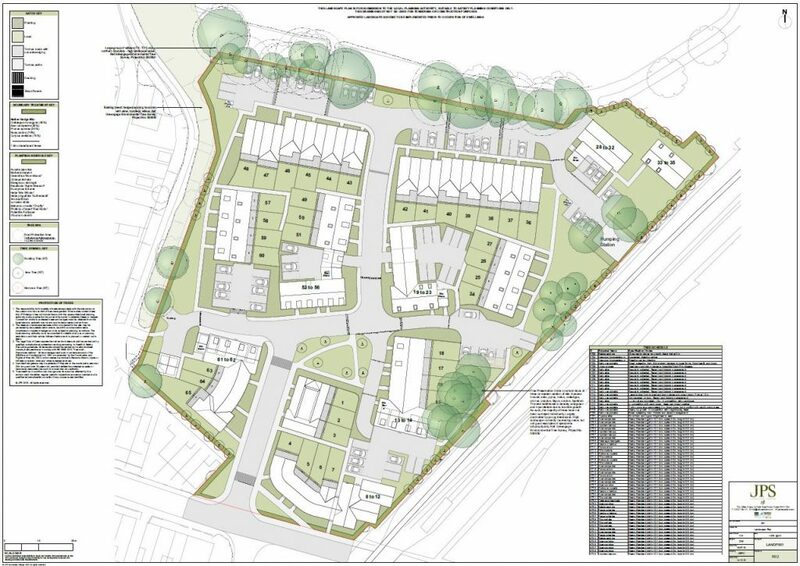 At 65 homes, the developer exceeds the 50 identified for the site in Rye’s Neighbourhood Plan. While the plan has yet to be put to a vote and approved by Rye residents, it has been progressed to such an extent that Rother District Council is likely to question why the developers make no reference to the plan nor explain why they are proposing so many homes for the site. The majority of the flats will contain two bedrooms with only five of the 27 being one bed units. The houses proposed will be a mix of two bed (7 in number); three bed (18 in number) and four bed houses (13 in number). As previously covered in Rye News the last planning application was for 72 homes, of which 29 were flats. And like the previous application the new application makes no mention of the percentage of ‘affordable homes’ within the development. Network Rail objected to the last application because of the increase in the number of pedestrians using the level crossing. Network Rail has said that the level crossing ‘is currently at capacity in its ability to cater for pedestrians.’ It is likely that they will object to this scheme unless the developer agrees to contribute towards the costs of widening the level crossing. You can view and comment on the plans here. A decision is expected by April 11 but judging from the time it took to deliberate on previous applications that could be wishful thinking. Image Credits: Rye News library, Original planning application, Kevin McCarthy. Even more heavy lorries thundering down Udimore Road! Rye Conservation Society has no objection to the use of this site for housing and supports Policy H8 of the Rye Neighbourhood Plan for up to 50 homes on the site. Any development of this site will require the demolition of the Queen Adelaide in order to provide a safe access far enough away from the level crossing to meet the requirements of both Network Rail and East Sussex Highways. This was the case with both the Sainsbury and Tesco schemes which were granted consent. The Conservation Society has however lodged a letter of objection for a number of reasons. The development does not provide the 30% of homes as ‘affordable’ i.e. social housing as required by Rother’s Core Strategy. We also believe that the scheme as drawn will result in the elimination of the Natural England Priority Woodland on the site, whose protection in whole or in part is noted in RNP Policy H8. This destruction is a result of the density and layout of the scheme as drawn and also because of the way that the developer has chosen to address the flood protection issue. The site is under the estimated tidal breach flood level by between .6 and 1.48 metres and the method the developer proposes is to artificially raise the site levels i.e. create an island. 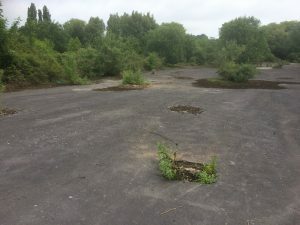 This will require a very considerable amount of fill to be brought to the site, in our estimation up to 2000 8-wheeler truck loads, and we cannot see how raising the ground level by this amount is compatible with retaining the woodland. Whilst disruption arising from construction is not a reason for refusing a planning consent unless it infringes environmental statute, in this case we believe that the extent of the likely disruption should be addressed by the developer as part of the application.